It’s that time of year again, time for gifting. And along with all those gifts that you have shopped so hard for comes hours of wrapping. I can’t tell you how many night’s before Christmas my husband and I have spent wrapping gifts. But just because you used the last bit of paper from the roll, doesn’t mean you need to go out and get another. 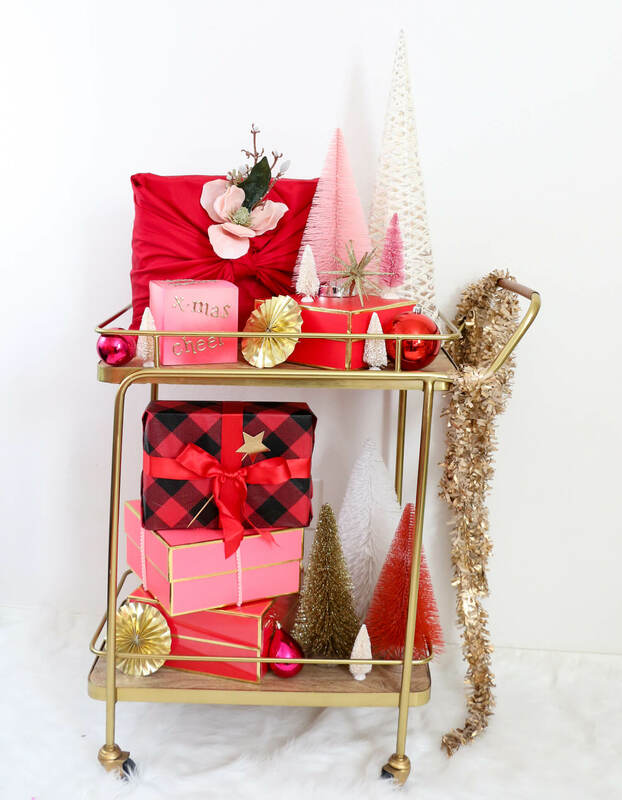 With a little DIY magic, your gifts will be sitting pretty under the tree. 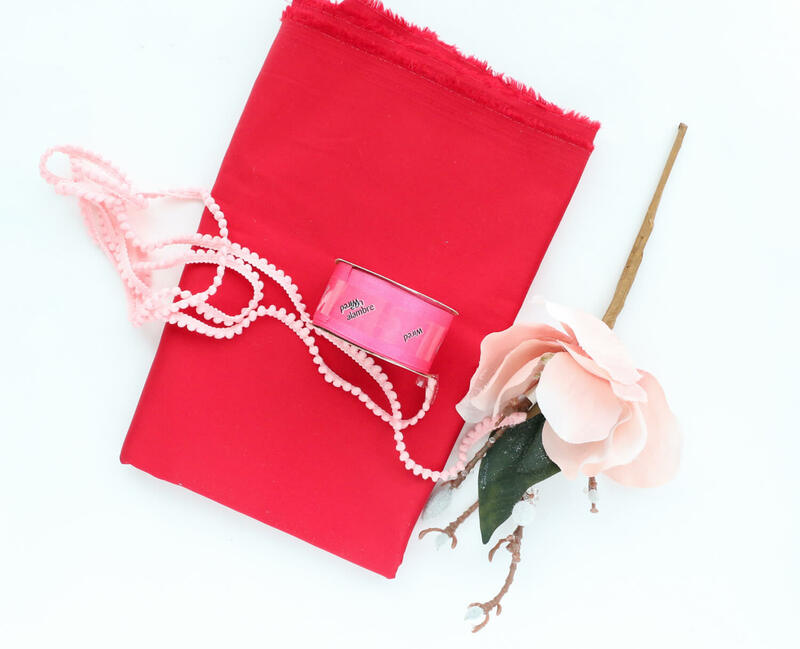 Hey everyone, it’s Kara from A Kailo Chic Life, and today I will share 3 ways to wrap gifts without using wrapping paper. Hooray for ingenuity! 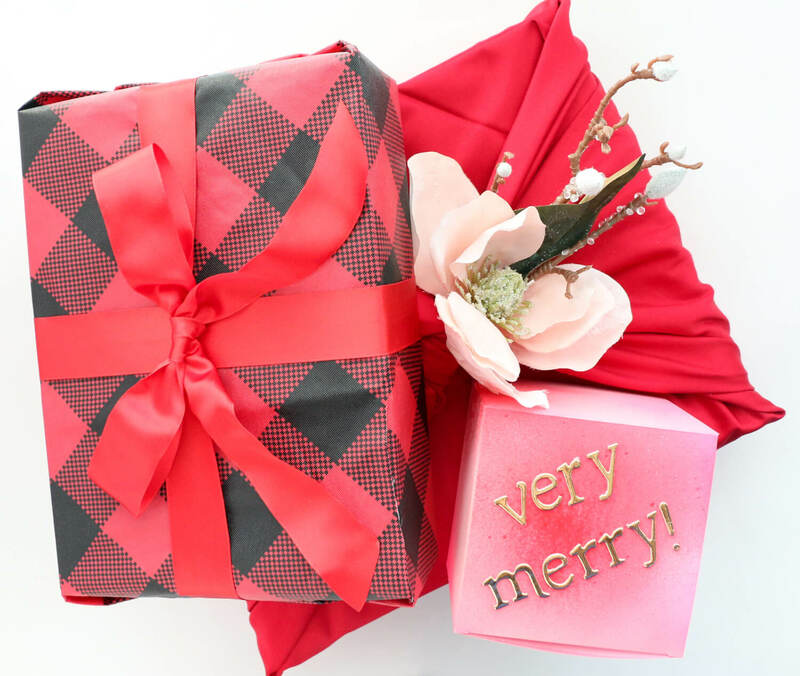 Everything from paper boxes, to fabric, to table cloths can be used to wrap your gifts; it’s just a matter of thinking outside the (wrapping paper) roll. First up let’s talk fabric. 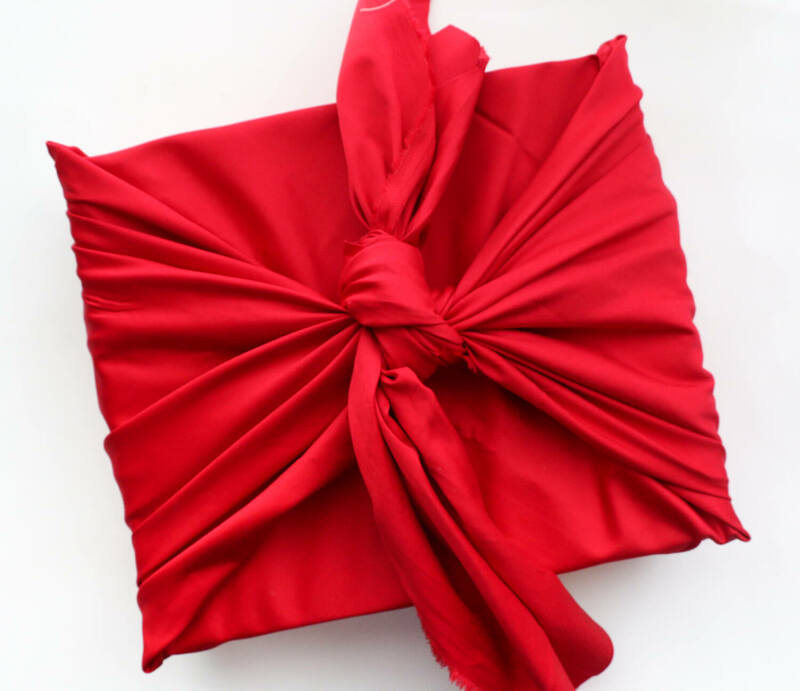 Using fabric to wrap a gift would be perfect for the seamstress in your life. Not only do they get the gift, but they get a yard of fabric to add to their stash. 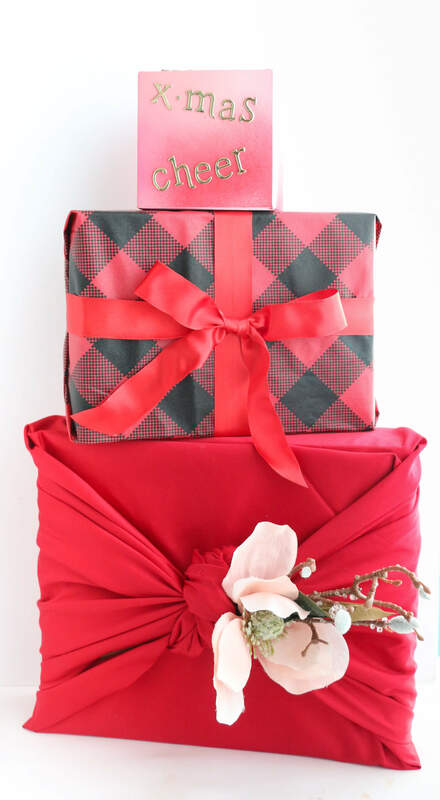 Wrapping your gift with fabric is so easy that all you need is the fabric (no glue or pins or tape needed!). 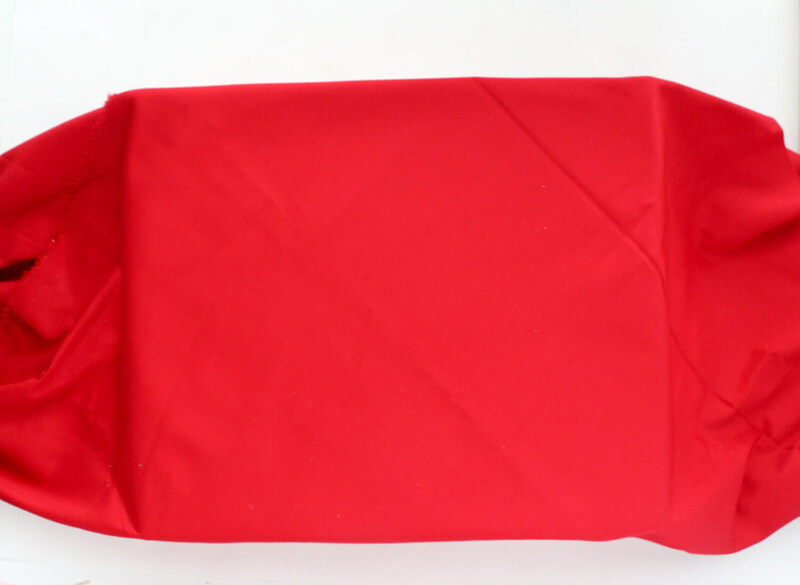 To wrap your gift with fabric, lay out one yard of fabric on a flat surface (the ground is perfect). 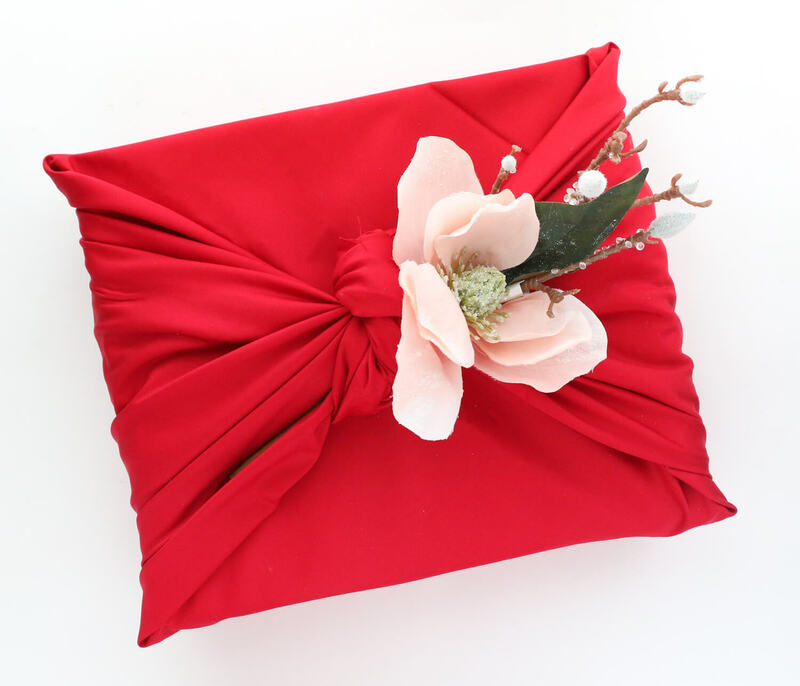 Place your gift on one corner of the fabric and fold the box over and over again until it is wrapped up in the fabric with two “tails” of fabric sticking out each end. Gather these tails and tie them in a knot. Then just tuck the ends of the fabric in and add a pretty holiday floral stem. Pretty amazing what a little fabric can do, isn’t it?! 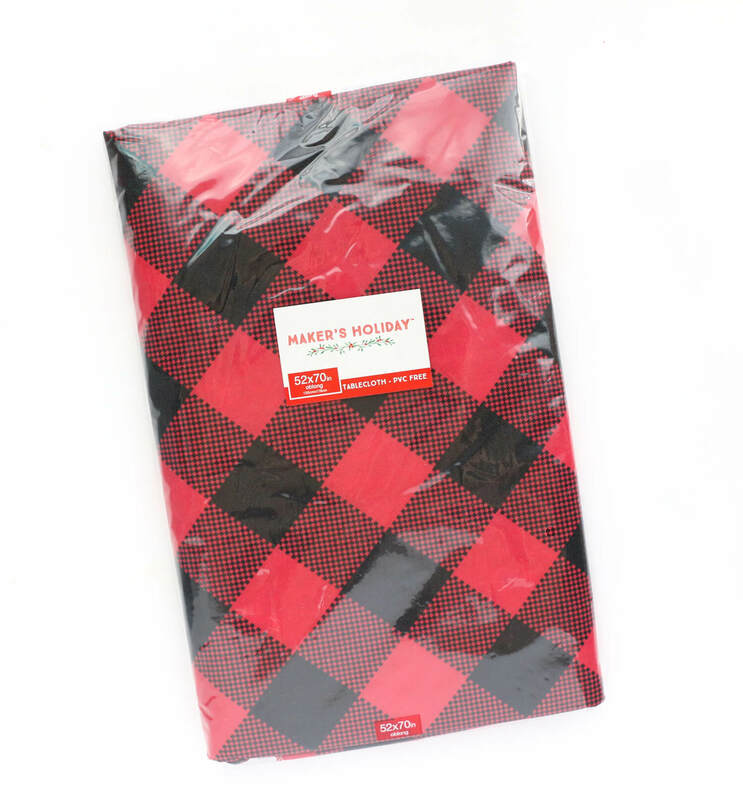 Next up, how about using a table cloth to wrap your gift? 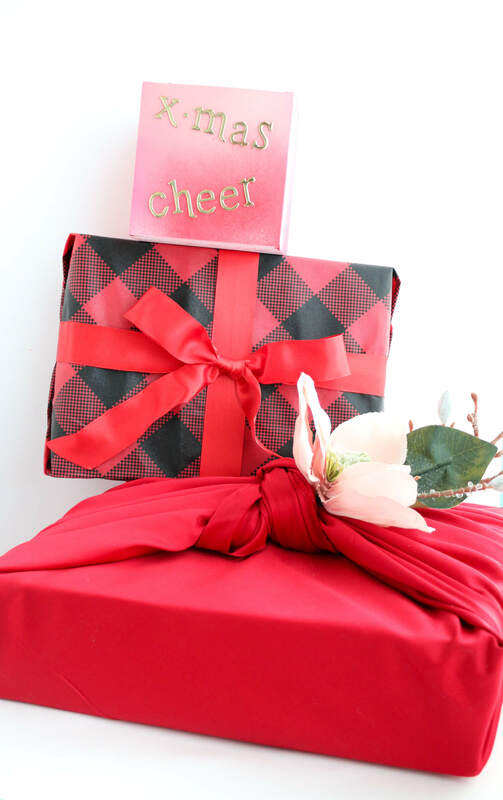 This method is straight forward, just measure, cut, and wrap your gift like you would with paper. I used a cool glue gun when wrapping with the table cloth, but packing tape would work too. Last but not least. My favorite method of wrapping a gift uses spray paint and stickers. You can use the box your gift came in or an old cardboard box then using a few different colors of spray paint, paint the box to give it a gradient look. 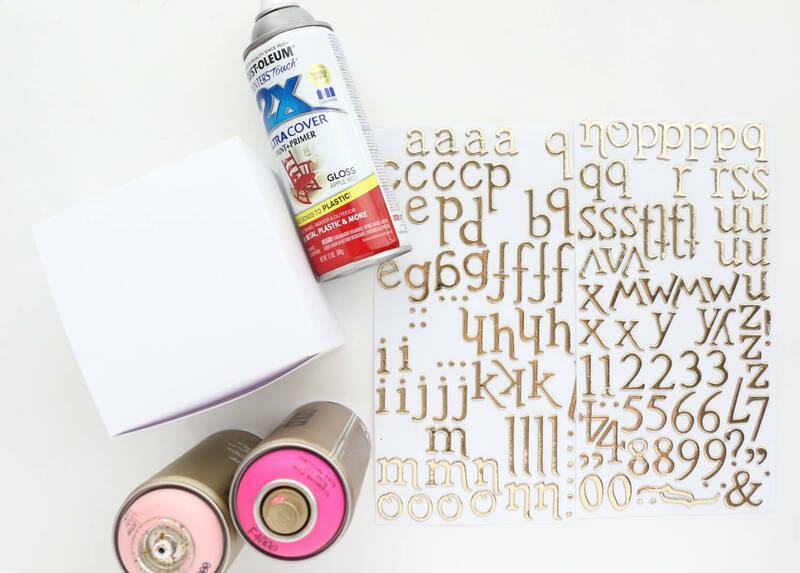 Once dry, add a few gold letter stickers to spell out your holiday message. I hope you all are inspired to ditch the wrapping paper and use a bit of creativity when wrapping your gifts this year. 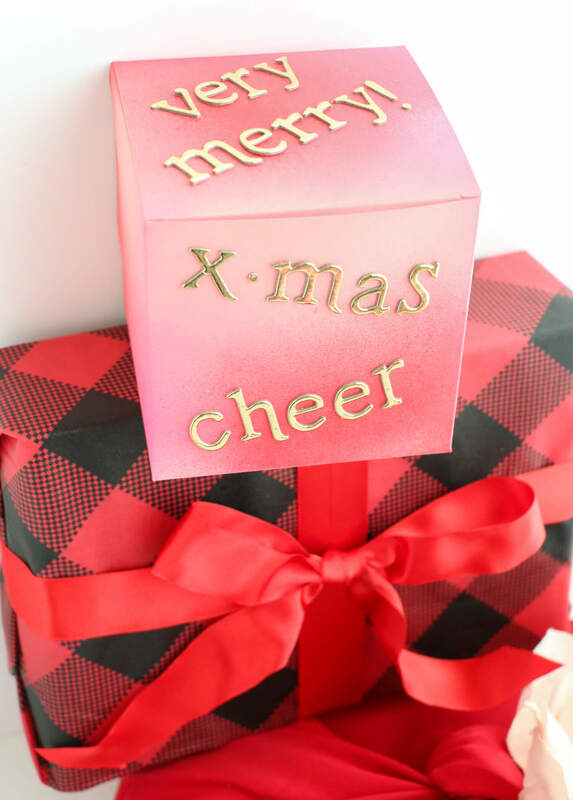 Any other non-gift wrap wrapping ideas you want to share?